Disney’s ILMxLab has been busy of late. In addition to the free Trials on Tatooine virtual reality experience for HTC Vive, the studio released a 360-degree video that serves as a prequel to the upcoming Rogue One: A Star Wars Story. The POV experience, available through Verizon, chronicles the first discovery of the Death Star and puts viewers inside the cockpit of an X-Wing pilot. ILMxLab also worked with Electronic Arts and developer DICE to allow PlayStation VR users to pilot those rebel ships in the upcoming Dec. 6 Star Wars Battlefront Rogue One: X-Wing VR Mission. Rob Bredow, the chief technology officer at Lucasfilm, has overseen the company’s R&D division, ILMxLab, since its inception. Bredow was recently in Milan, Italy for the VIEW Conference. He’s currently living in London and working on the new Han Solo movie with directors Phil Lord and Christopher Miller at Pinewood Studios. He told UploadVR that virtual reality is now part of the production process for the Star Wars films, something that commenced with Rogue One and director Gareth Edwards. Bredow said that his team at ILMxLab is constantly learning as they experiment with different experiences across emerging platforms. 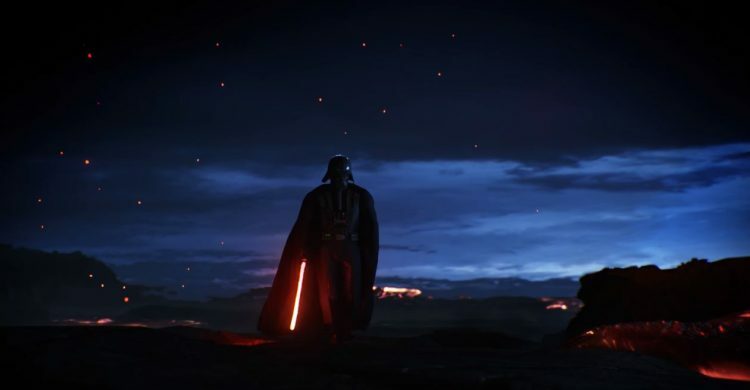 Several of the early VR projects from ILMxLab, including Trials on Tatooine and the Magic Leap mixed reality droid experience, were built using Epic Games Unreal Engine 4 technology. Although his team is working with game engine technology, they’re not focusing on game-length experiences. Bredow promised that new VR experiences like the one featuring Darth Vader that was recently announced, will be longer than Trials on Tatooine. ILMxLab is very familiar with PS VR thanks to its work with EA and DICE. Bredow said he’s excited about Sony’s new platform because it allows gamers to plug into a box they probably already have in their living room, and it’s dramatically less expensive than HTC Vive and Oculus Rift if you already have the existing components. At the same time the home VR scene is expanding, a new wave of virtual reality arcades and experiences are popping up around the world. That includes established companies like IMAX, which has partnered with Starbreeze, as well as startups like The Void, which launched Ghostbusters: Dimenion earlier this year at Madame Tussaud’s.